XLT Sport appearance pkg, 3.5L Eco boost, 4x4, Navigation, heated cloth, hard top tonneau cover, power adjustable pedals, dual power seats with power lumbar, backup camera/sensors, automatic headlights, fog lights, automatic dimming mirror, heated/blind spot/signal mirrors, dual automatic climate control, power windows/locks/mirrors, keyless entry with remote start, AM/FM, SiriusXM, USB port, steering wheel mounted audio controls, Bluetooth, tilt and telescopic steering wheel, cruise control, information center, 18" alloy wheels. Fuel Economy: 18 city / 23 hwy. Warranties: Balance of Ford's 3 year or 36,000 mile bumper to bumper and 5 year or 60,000 mile powertrain. In service date: 09/07/2017. Extended service contracts available. 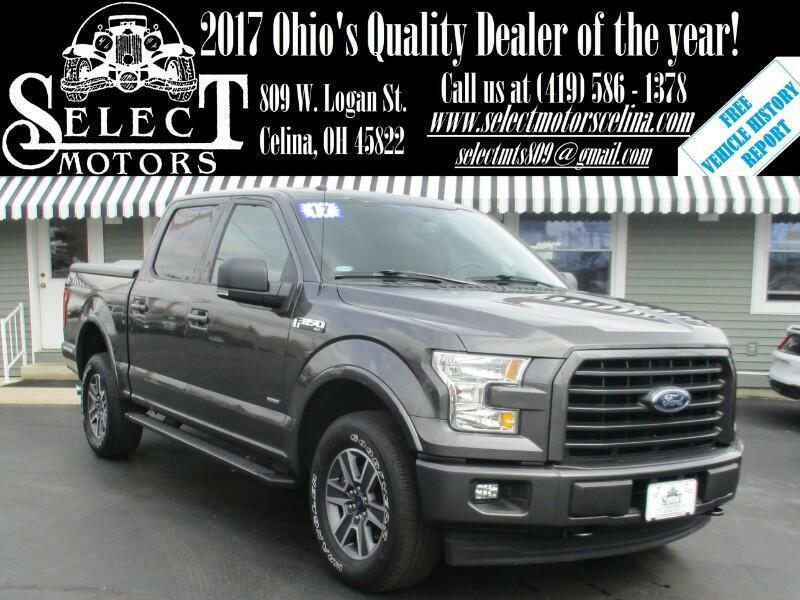 There's a deep catalog of features, options, packages, engines and bed configurations for the 2017 Ford F-150, and we'll help you sort through them all. The F-150 is available in six primary trim levels: base XL, XLT, Lariat, King Ranch, Platinum and Limited. There's also a high-performance off-road Raptor variant that exists outside the standard lineup. The XL with the 101A package makes for a decent work truck, but you should upgrade to at least the XLT with the 301A package for a passenger-friendly pickup. The Lariat is the gateway to the luxury truck you've been saving for.